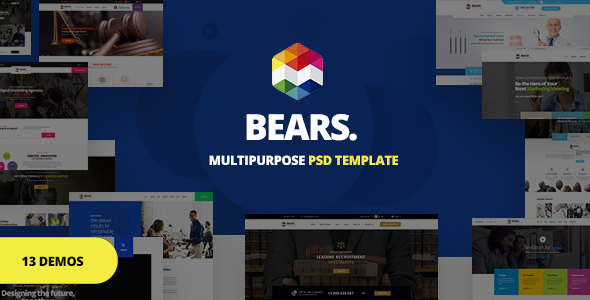 Bears is business PSD Template can adapt to any corporate business niche. Bears ready for with most popular of business & corporation like finance, law firm, construction, dentist, legal, pr & marketing, consultancy, creative agency, digital, advisor agency, insurance, it services etc. Every niche is designed accordingly its purpose. And also in this template every home its own inner pages which is basic need of niche. It is creative and clean design. We have tried our best to cover all possible pages. 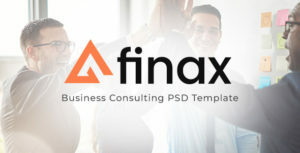 PSD files are well organized and named accordingly so its very easy to change any and all of the design. 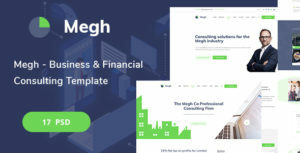 You can convert it to Site Template, WordPress, Joomla or other CMS. 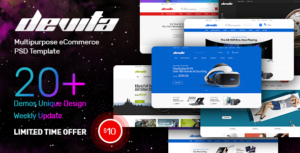 The design is very elegant and modern, and also very easy customizable with 1170px grid. It is pixel perfect, made with Bootstrap Grid. Also we offer dedicated 24/7 Free support for our valuable customers. Feel free to get support as we love to help our clients.